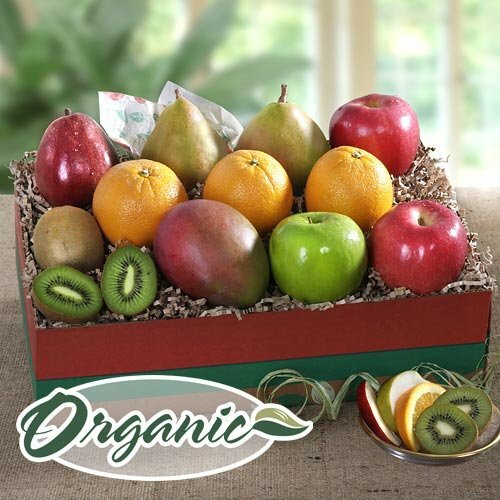 A deluxe collection of wonderful varieties of fruits - certified organic by CCOF. Large and juicy organic Dessert Pears. Sweet organic Fuji and tart organic Granny Smith Apples. Sweet organic Royal Navel Oranges. Exotic organic Mangoes and Kiwi.